For the first time, the network testing professionals of P3 communications and connect have examined the mobile networks in Sweden. With a total of approximately 15 million mobile subscribers, Sweden’s cellular network situation features a number of specialties making it one of the most dynamic mobile network markets. Let us have a closer look at the performance of the Swedish operators. Who offers the best network for voice and data? The 2016 P3 connect Mobile Benchmark in Sweden proves the strength of all four Swedish mobile networks. Our demanding benchmark shows a clear overall ranking in terms of quality and performance. as well as being highly objective. The carefully designed methodology scheduled two drive-test cars to visit 12 large cities and 18 smaller towns in Sweden as well as the connecting roads. The areas in which we tested accounted for more than 3.31 million people, or approximately 41.4% of the Swedish population. One aspect of P3‘s great attention to detail is the use of up-to-date LTE “Cat 9“ smartphones for the data tests. They account for the latest technical developments such as LTE carrier aggregation. Also, the most comprehensive mobile plans available from each operator are used. The results of our first mobile network benchmark in Sweden underline the high performance of all four contenders. The overall winner is Telia, which manages to score best both in the voice and in the data disciplines. Telenor achieves a strong second rank and is awarded the same grade “very good“ as the test winner Telia. Telenor has a small advantage in some stability aspects such as the success ratios of voice calls outside big cities and of some data transmissions, while Telia convinces with slightly better performance values like faster call setup times and higher data rates in some categories. Interestingly, in smaller towns all four operators scored almost equally – still on a high level. Tele2 performs behind the leading duo and thus deserves the third rank. Sweden‘s smallest operator Tre comes in last, but still achieves the grade “good“. The Swedish mobile network market is characterised by many cooperations. Some of Sweden’s 3G and 4G networks are operated by joint network companies – but for some parts, the individual providers are solely responsible. Formerly owned by the Swedish government, Telia AB merged with the Finnish operator Sonera in 2002. After the merger, the Swedish state owned 46 per cent of the new TeliaSonera and Finland a little over 19 percent. Since then, both states have reduced their ownership in the company. Today, most of Telia‘s shares are owned by diverse shareholders and the company is the largest Nordic and Baltic mobile operator both in revenues and customer base. With approximately six million subscribers, Telia is also the largest mobile network provider in Sweden. Its mobile subscriber base equals a market share of about 37 percent. As Telia was not successful at the 3G spectrum auction, it cooperates with Tele2 for its 3G services. For 4G, Telia holds licences for 800, 900, 1800 and 2600 MHz individually as well as a 2100 MHz licence together with Tele2. Today, Telia claims to cover 99 per cent of the Swedish population with its 4G service. Sweden‘s first commercial internet service provider Swipnet started in 1991 and was renamed Tele2 in 1993. In 1997, the company merged with the internet and cable operators Comviq and Kabelvision. Today, Tele2 is active in many Nordic and Baltic countries. With approximately four million mobile subscribers, which equals a market share of about 28 per cent, Tele2 is the second largest mobile operator in Sweden today. In 2001, Tele2 was among the winners of the 3G spectrum auction, and established a cooperation with Telia who had not received a 3G license. Their shared 3G network is owned and operated by their joint company Sunab. A similar joint company, “Net4Mobility“, was formed in 2009 by Tele2 and Telenor for the operation of a shared 4G network and for amending their existing 2G networks. Tele2 holds 800, 900, 1800 and 2600 MHz licences together with Telenor, and a 2100 MHz licence together with Telia. The joint 4G network of Tele2 and Telenor covers about 99 percent of Sweden‘s population. Telenor is a Norwegian multinational telecommunications company and one of the largest mobile network providers in the world with operations in Scandinavia, Eastern Europe and Asia. Its Swedish operation is the result of Telenor‘s purchase of Vodafone Sweden in 2005. With almost three million mobile subscribers and a market share of 16 per cent, Telenor is the third largest Swedish mobile network operator. Together with Tele2, Telenor holds the joint company Net4-Mobility that operates 4G and 2G networks on behalf of both operators. Through this, Telenor holds 800, 900, 1800 and 2600 MHz licenses. Also, Telenor has a network sharing agreement with Hutchison (Tre) for 3G in the 2100 MHz band, but the licences are held by Telenor and Tre individually. The joint 4G coverage with Tele2 reaches about 99 per cent of the Swedish population and 88 per cent geographic coverage that the company wants to extend to 90 per cent by the end of 2016.
for cities like Stockholm, Gothenburg, Malmo, Lund and some others. Tre‘s owner Hutchison holds 800, 900, 2100 MHz and 2600 MHz licences, each operating under the brand Tre. Today, Tre Sweden covers about 98.5% of the Swedish population. Its LTE coverage is somewhat over 80 per cent of the population, but has been growing rapidly in recent years. For the first time, P3 and connect have conducted a mobile network test in Sweden. How does this cooperative and at the same time competitive market hold up under our test teams’ examination? P3 communications GmbH, based in Aachen, Germany, is a world leader in mobile network testing. 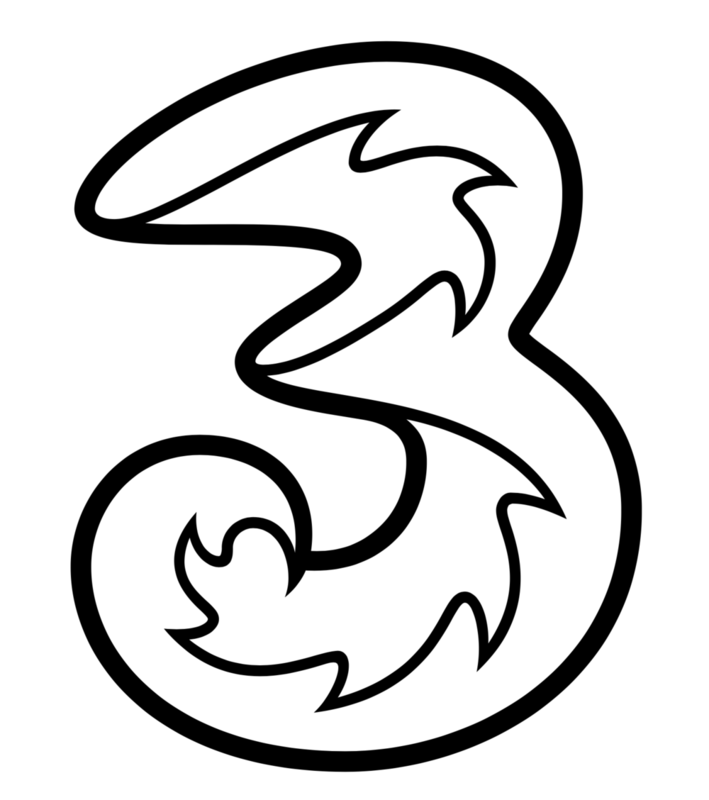 It is part of the P3 group, with over 3000 employees world- wide and a turnover of more than €300 million. P3 is partnering with the German telecommunications magazine connect, which has more than 20 years of editorial experience and is one of the leading test authorities in Europe for telecommunications products and services. Since 2014, P3 has also been conducting network benchmarks in Australia and the UK, followed by benchmarks in the Netherlands and Spain since 2015. And in 2016, Sweden joined the list of examined countries. In 2015 alone, P3 compiled more than 60,000 measurement hours in 47 countries, with its test vehicles covering more than 1.2 million kilometres. As the de-facto industry standard, the P3 benchmarking methodology focuses on customer-perceived network quality – examining both voice telephony that makes up 40% of the total result as well as data connectivity that accounts for 60% of the score. P3‘s network benchmarks are widely accepted as an objective authority. How do Swedens cooperative networks differ in performance? As described on page 3, Sweden‘s mobile network market presents a unique combination of cooperation and firm compe- tition at the same time. So, our testing teams were especially curious which of the Swedish operators would show the best results in our benchmarks.